Recorded Live at Malibu NIghtclub , Long Island, NY , USA - May 01, 1981. Soundboard :: Unofficial Vinyl LP :: FLAC. Files: 21.:: Size: 476.38 MB (flac). Personnel: Joan Jett – Vocals, Guitar - Gary Ryan – Bass, Back Vocals - Lee Crystal – Drums - Eric Ambel – Guitar . Notes: Live on Long Island, NY, 1981. This is the same release as the Beyond Redemption 2xLP but with a different album title, cover art, and some variation to how the songs are titled. Comes in a plain white cover with loose square sheet with artist name, album title, and track listing. Records have plain blank labels, which are gold/tan on the 1st record and green on the 2nd. Probably pressed in the USA, early 1980s. 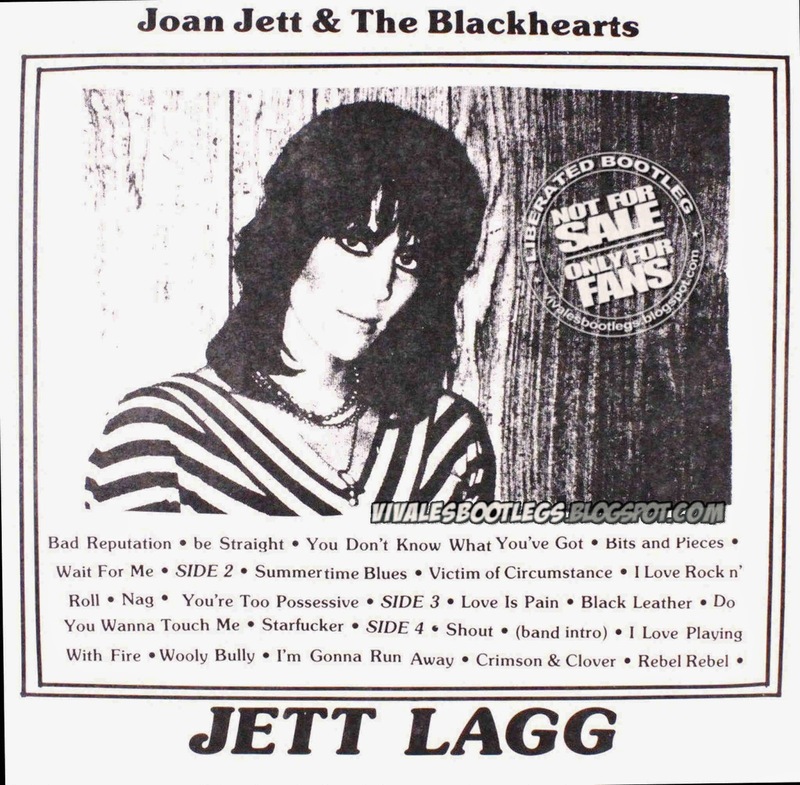 If you're a Joan Jett Fan, then you know, growing up in the age of vinyl, that the best Joan Jett bootleg was called Jett Lagg. It was now time to convert my copy to digital (<--original sharer).